Once the mansion of a 17th Spanish nobleman, the Marquis Picoaga, the Ramada by Wyndham Costa del Sol (formerly known as Hotel Picoaga) offers comfortable four star accommodation 1.5 blocks from Cusco's main square and close to La Merced church. The hotel is colonial in style and features lovely stone arcades, patios and fountains in a beautiful courtyard. The interior is a mix of original architectural detail, 17th century murals and contemporary design. Rooms are spread between the original colonial building and a contemporary wing, each location with its own style and atmosphere. All rooms are air conditioned, have TV, phone, minibar and en-suite bathroom. The hotel's restaurant, Paprika, serves delicious Peruvian and international cusine and offers lovely views over the city's rooftops. The bar, with its large open fireplace,is a great place to relax after a busy day sightseeing as you chat with fellow guests over a drink. The central courtyard is an attractive feature, and a good place to rest away from the hustle and bustle of city life. Open: The Ramada by Wyndham Costa del Sol is open all year. Location: The Ramada by Wyndham Costa del Sol is just a few minutes walk from Cusco's main square. Rooms: The 90 en suite rooms are equipped with central heating, air conditioning, safety deposit box, cable TV, telephone and minibar. The Colonial rooms display the traditional architecture of the mansion, such as high ceilings, beams, murals and large wooden doors. There are also rooms in the modern wing, with an emphasis on guest comfort. Bathrooms are large and well appointed. 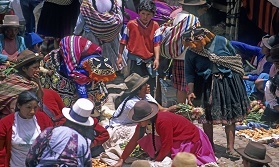 Activities: All of historic Cusco is on your doorstep! Facilities: Restaurant, bar, enclosed courtyard, 24-hour room service, tour desk, concierge service, free airport shuttle. The hotel provides a laundry service (pay locally). Dining: Breakfast, brunch, lunch, dinner and high tea are all served in the Paprika restaurant. Communication: Free wifi is available in all areas. "Great hotel with character of an old colonial house. Very good service, rooms and location. Very enjoyable stay here." "Lovely friendly atmospheric local hotel. " "Great location and character in the old part.Our had no external windows hence dark." 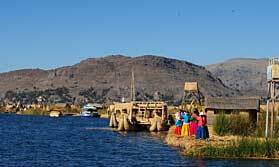 "Great location for visiting Cusco. Big rooms. Great breakfast. Helpful staff." "Nice hotel, well positioned. We got an upgrade, so for us even better! Staff not too friendly but OK. "